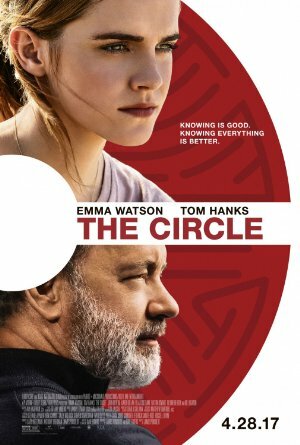 After landing a dream job at a powerful tech company called The Circle, a woman wrestles with whether the firm's 24/7/365 connectivity agenda represents a brave new world in which "Knowing is good, but knowing everything is better" or a horrifying breach of individual autonomy and privacy. There were strains of ideas that felt reminiscent of Black Mirror or Person of Interest or Truman Show, but just went undeveloped. I also felt like Mae's ascension was largely unearned: I didn't quite get *why* she was willing to be transparent, or how it could make things better. The ending was also a miss. In short, goodness, so many big names and such a surprisingly bad movie. Do *NO* lawyers work for the Circle at all? We'll just put surveillance cameras all over and privately monitor them? Let's chase this private citizen down in his car? I mean, I'm not even after going after the big thornier stuff, just a couple of their surface level proposals. And what was that ending supposed to even be? "Don't worry, privacy may be dead but we dragged in the bastards who did this, so whatever, enjoy your surveillance state?" Just watching this on Netflix now because nothing else is on. I'm hating her cultish coworkers (which I'm supposed to, of course), but I think the worst part so far is "Is this about your dad's MS?". I'm surprised the goverment's not coming after them for massive HIPAA violations on top of the antitrust stuff. I’m surprised how much I enjoyed watching this movie all the while thinking the plot was completely ridiculous. So this is a horror film, right? Mae makes the worst decision possible each time as we're yelling at the screen to not do it? I went into this expecting a sci-fi social commentary thriller, and it was pretty bad at being that, so "horror film" is all I've got.